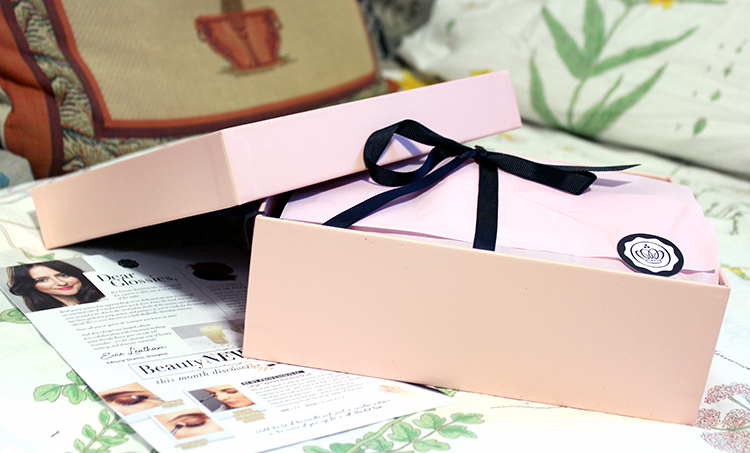 Another Glossybox Unboxing for you. It's a little late since things have been quite full on recently, but I'm pretty much done now until January in terms of uni work, so I'm trying to catch up on here. Because the month has already gone, I have had a chance to try some of these out. I thought it would be nice to rate them out of 10 in terms of how much I like the products etc. I can put gold on my face! Sold! This face mask is meant to brighten, firm and optimise moisture levels but most importantly, it has crushed gold in it. I don't think I've ever had gold put on my face before so I've got some high expectations here. 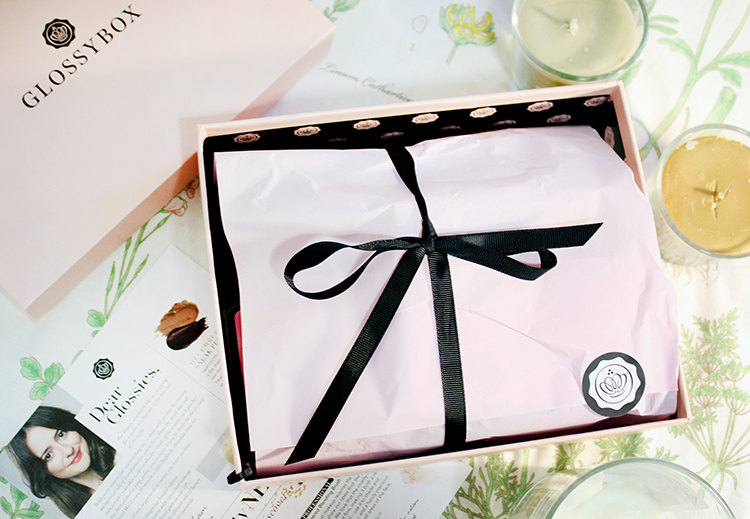 Last month's box had a sheet mask which I think was quite similar to this one. I really liked the one from last month so I hope this one is as good. It felt like jelly hehe. I looked it up online too and it had some really good reviews so high hopes here. This is going to sound really harsh but I really didn't like this product. I was really excited about the idea of it, glide some on and you're ready for the day. The texture on the eyelid felt too sticky, almost like a lip balm. I wore just this product on my lids for a day and by the end there wasn't much pigment left on my eyelid at all, but the creases were unreal. I absolutely hate product build up in creases. I wear powder every day, over and under my eyelids because I hate it so much. Anyway, the product just didn't work for me. The next day I tried setting it with an eye shadow in a similar colour but it just did the same thing. Maybe I just have really oily lids, but I have seen that some people experienced the same thing. A disappointing 3/10. What can I say? It's a razor in the end. I don't shave that often anyway, but I did try this out recently. However as you can imagine it was on a lot of hair which meant that it took me quite a while. I guess this would be good for the lady that shaves quite often so there's not much hair to get rid of. It did shave close to the skin and I didn't cut myself once or even get irritated skin. That's a good 8/10 from me. I was super excited for this. I love getting free (technically not free just really cheap considering the price of the box) brushes. Most of my brushes are either from other people, my sister gave me a bunch, or an £8.69 set from Amazon. I swear by those brushes. Not every single one, but the majority. Anyway back to the actual product. I thought the shape of the brush was comfortable to use in the crease although I thought it didn't pick up the product very easily. The bristles are very soft but I personally feel like they need to be sturdier rather than flimsy to pick up and distribute product with ease. I'll still use this brush because I feel like it would be nice when used for blending. I'll give it 7/10. I don't really wear lashes. I currently own 1 set and have been trying recently to wear them in. I like the idea of lashes and the fact that you can add them and get a more dressed up effect. When I was younger though I hated fake lashes. I think my opinion was based off seeing girls wear them really badly which is what repulsed me. After really getting into makeup I started to appreciate it more because I'd see people wear it well. Anyway, I've only managed to wear these once but I think I like them. The band was clear when dried so looked so much more natural. The individual lashes are also tapered which gave the effect of natural hairs. I also loved how long my lashes looked with these. I did have a bit of trouble putting them on but that's mostly my fault, I'm still learning. 9/10 from me. Again sorry about the delay, hopefully I can pull myself together and post some nice and chrismasy posts for you this month.